If you’re an avid Facebook Messenger user who sends a lot of pictures back and forth, you may appreciate having the app automatically save those photos and images directly to your iPhone, without having to manually do so yourself. With the help of a simple settings switch, you could do exactly that. For this trick to work, the Facebook Messenger app needs access to the camera roll and iPhone Photos app, otherwise the feature can’t be enabled since it won’t have access to save pictures to the Photos app. This will keep a copy of all Facebook Messenger pictures locally on the iPhone. The feature works the same on Android as well, but we’re obviously focusing on iOS here. 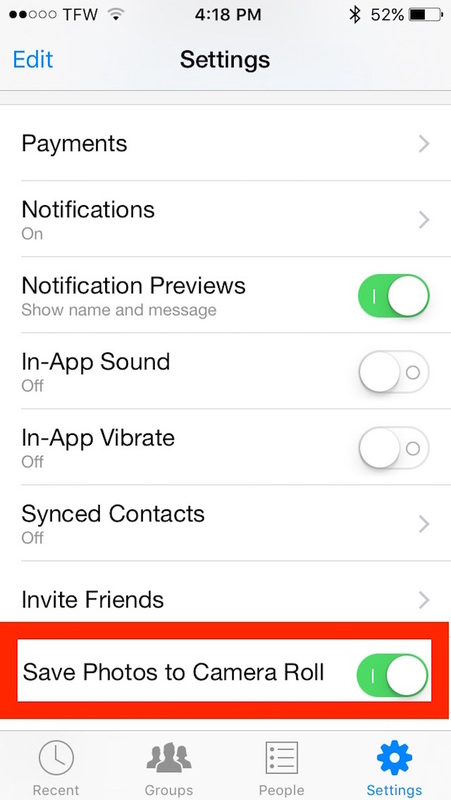 Toggling this setting will save all photos from all conversations in Facebook Messenger automatically. You can confirm it’s working by returning to the Facebook Messenger app and having someone send you a picture, it will then appear in your Photos app Camera Roll automatically. This prevents you from having to save pictures from Facebook manually using the tap-and-hold trick, which works the same in Facebook app as Facebook Messenger. If you want to stop this behavior, simply return to the Facebook Messenger settings and switch “Save Photos to Camera Roll” to the OFF position. That’s a screenshot from an old version of Messenger. In the current version of messenger, the user has to go to settings, then tap on ‘photos & media’ then toggle the switch, which is now called ‘save on capture’. It’s also worth noting that the feature is only available on iphone. I also have an original iPad Air with messenger installed and the ‘save on capture’ switch doesn’t appear on there, presumably because it is a wifi only device. Ok, it seems I made a mistake about the ‘save on capture’ switch; that one serves a different purpose (automatically saving pictures taken with the iphone camera directly from the messenger app). Other than that, I was right. The screenshot shown is from an older version from the app and apparently the functionality described in this article has been removed from newer versions of the app. I do have the latest update on both of my devices (iphone 6s and original iPad Air) and none of them show the save on camera roll toggle switch. In addition, the iphone version has replaced the gear settings icon with a new one showing a silhouette in a circle simply called ‘me’. This is what mine looks like, maybe I haven’t updated the Facebook app either? Facebook and Instagram run tests though with the same versions, things look different, A/B testing, etc. So it is possible you are the one missing the feature and we are normal. I like this feature, I hope it stays. Go to the appstore…that’s where you can see if you’re updated. Just look for the app, if you have the latest version it will have an ‘ open’ button on there. If not it will say ‘update’. I know I do have the latest version on both of my devices. It’s version 68 released april 28, 2016. I just updated Messenger before I read this article — wish it worked for me!! Why would davebook change this? Davebook is Facebook but autocorrect good grief. I followed all your instructions and qent to the me > photos and media. But the only thing that showed was “Download videos” and nothing else. Why is that?